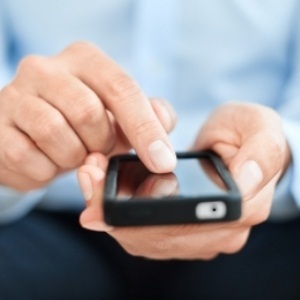 It's a tough SA environment for retailers, and even more so for the telecoms industry. In recent weeks shares in Woolworths [JSE:WHL], Mr Price [JSE:MRP] and Vodacom [JSE:VOD] all experienced slumps on the back of disappointing trading updates – reflecting that SA consumers are not spending money, according to FNB Wealth and Investment money manager Wayne McCurrie. Vodacom's share price declined by 7% on Thursday after a trading update showed the group's SA service revenue had declined 0.9% to R13.9bn in the quarter ended December 31. It's overall group revenue growth was "benign", up by a mere 1.5%, Purple Group trading specialist Musa Makoni noted on Friday. Service revenue across the board was up 2.4%. "At the end of the day it highlights how indebted consumers are at the moment and how there has been a sharp decrease in disposable income that consumers can spend on some retail products as well as communications," Makoni said. Tech analyst and commentator Arthur Goldstuck said on Friday that the disposable income of consumers was "extremely limited". "People are already spending all the money they can spend. There is not more to be spent, no matter how low the prices go," he said. In its trading update, Vodacom highlighted that promotions on data packages did not have the desired impact of getting consumers to spend more. Goldstuck explained that, in the past, when prices came down consumers would use more and spend more. However this is not the case in the current economic environment. Consumers are instead not changing how much they spend, but are getting the benefit of having more data. There is more media coverage of out-of-bundle rates, which has made consumers aware of spending on out-of-bundle data packages, he said. In its trading update, Vodacom also indicated that it would be implementing the End-User Subscriber Service Charter regulations, set out by the Independent Communications Authority of South Africa, from March 1. The charter aims to address consumer concerns around out-of-bundle charges and data bundle expiry rules. Vodacom expects it to have a "drag" on data revenue in the short term. SPECIAL REPORT What would really happen to data costs without bundles? Commenting on the impact regulations would have on the industry, Goldstuck said regulations would impact revenues of mobile operators. "It is a situation where you want it to have an impact. You want people to be able to hold onto their data for longer to be able to spend less on data." McCurrie said the regulations would be an additional challenge to players like Vodacom, Cell C, Telkom and MTN, who have to contend with falling voice revenue and continued capital expenditure necessary to upgrade networks to keep up with changing technology.